Thanks for visiting our old blog! 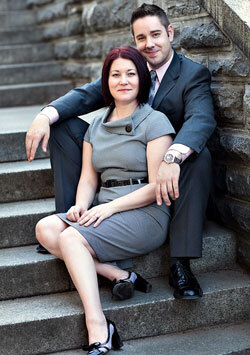 We are Vicki + Erik Souza, a wife and husband photography team. We are wedding, event and lifestyle photographers based in Fairfield County, CT and we are available for travel. We would love to connect with you – please visit our new website at vickipluserik.com or you can contact us here. Hello, guys! I am not a bride to be, but was looking through the net at different photography sites, and saw yours. It’s one of the most heart-touching, professionally done and great ones!!! French music brings an amazing touch to your site as well. I am an RN for a long time, always loved photography. Recently, decided to “try myself” in this field. Created a web site, did a few events…Lots to learn. Reading the books, playing with the camera. I just had to leave a message. I am not a bride-to-be, nor do I have children but I absolutly love your photography. My mother is a photogrpaher, I have grown up around the visual arts, but your photographs really capture the emotion at the special times in people’s lives. I have really enjoying looking through your blogs, and if you are ever in London, I’d love to be photographed by you one day. Hi I am Stephanie from Progressions Hair Salon & Wig Boutique, I styled Ali Urbano’s hair for her wedding. I have a website and I puttiing together a compilation of all the brides hair I have done. Are you willing to send a photo so I may add it to my website portfolio? Please contact me at the email address above.